As trade questions persist, grain farmers and their overseas markets are ground zero in the debate. As more and more headlines speak of trade tariffs, trade wars and import/export markets, it’s good to be reminded of what these issues mean to our farm friends, neighbors and businesses that call Ohio home. Ohio grown grain crops are ground zero in this debate. Ohio products are in demand in many foreign countries and grain is certainly no exception. 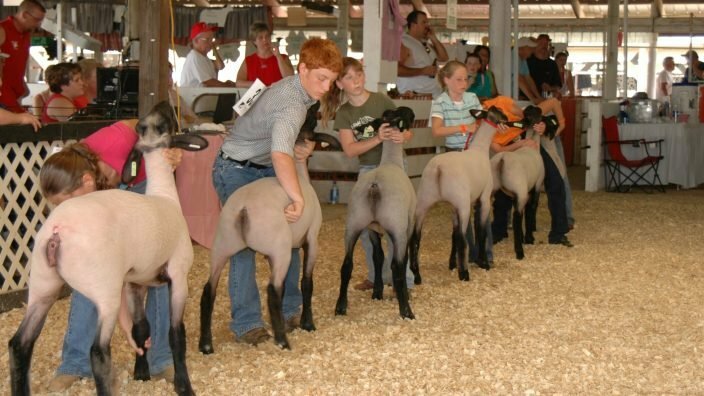 Exports are big business for the state’s agriculture economy. Ohio exported more than $2 billion in oil seed and miscellaneous grain in 2016, up 21.2 percent over 2015, according to the Ohio Development Services Agency. North American markets traditionally are strong, and corn and soybeans have been selling well in Asian markets given the state’s connection to the Ohio River, which links to several domestic ports. Grain is transferred into barges on the Ohio River. 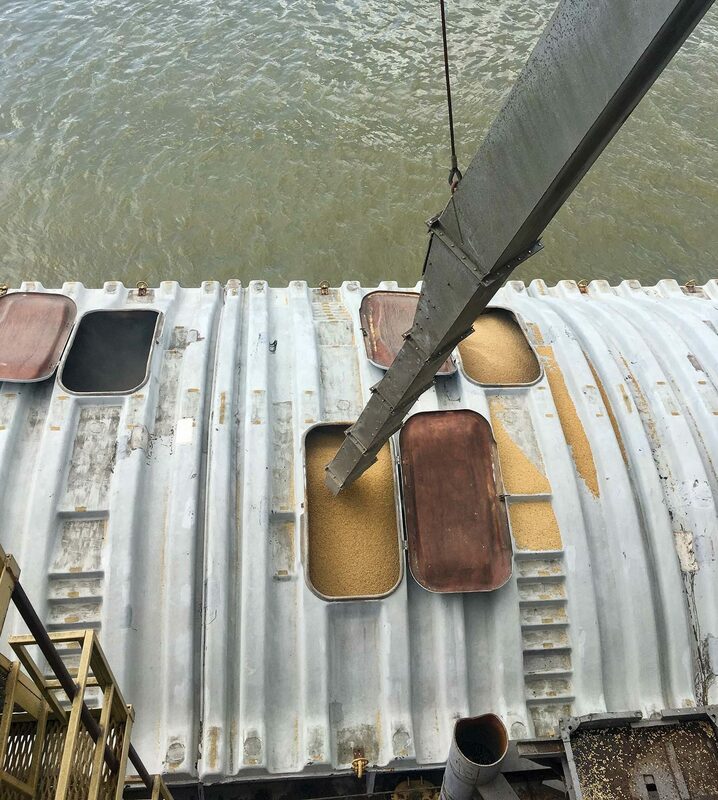 This shipment from Consolidated Grain and Barge is bound for the Mississippi River delta where it will continue its international journey from Ohio farm field to customers on the other side of the world. 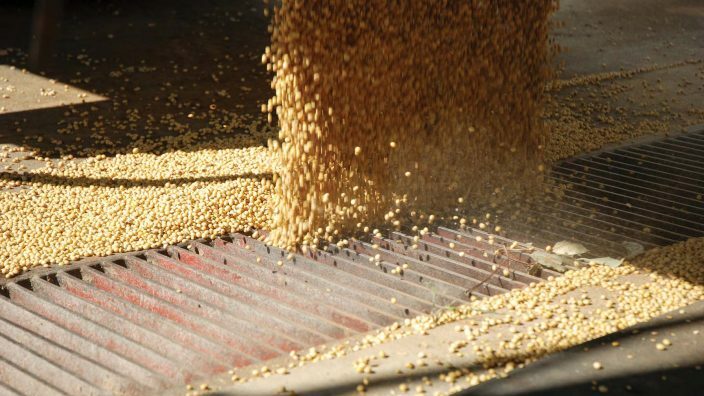 “It’s the entry point for a lot of our agricultural commodities into the international trade market,” said Brandon Kern, Ohio Farm Bureau’s senior director for policy outreach. 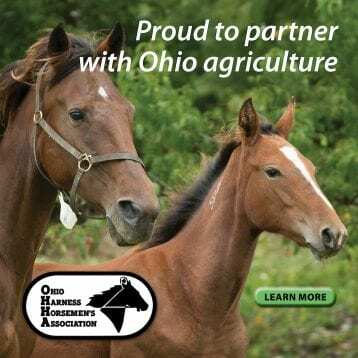 Ohio Farm Bureau held a conference last year in Cincinnati that examined trade, water infrastructure, NAFTA and other important issues surrounding the movement of agricultural goods from Ohio to international markets. It’s an industry that includes not only farmers and those who use their grain, but also the companies that move the goods from point A to point B. They include Consolidated Grain and Barge, a Japanese-owned commodity trading company. CGB operates several facilities along the Ohio River in and near Cincinnati that help farmers distribute their goods to customers in foreign countries. CGB is owned by Zen-Noh Grain, the largest farmer-based cooperative in Japan, and multifaceted importer/exporter Itochu International. 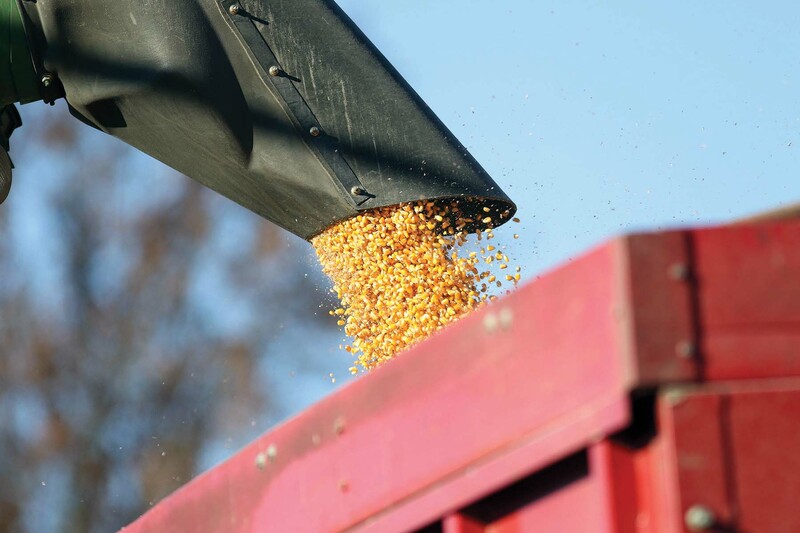 Ohio farmers’ corn and other products are often shipped to Zen-Noh, which in turn supplies local feed mills. 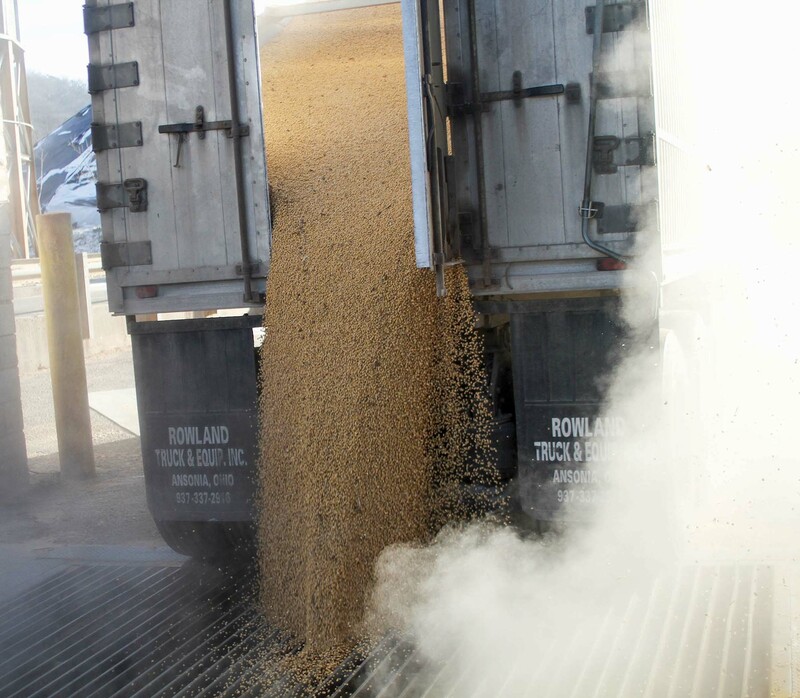 Dennis Heyob loads corn from his truck to his grain elevator leg. It will be dried in silos before being delivered to the Port of Cincinnati for shipping overseas. 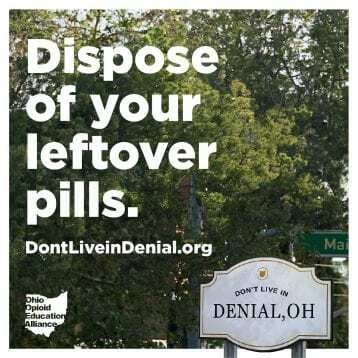 Ohio, like nearby Midwestern states, is known for producing high-quality products. But most foreign transactions are price-dependent. For instance, Baumgart said, some overseas soybean buyers will pay a bit extra for soybeans grown in Indiana, Ohio and Michigan. 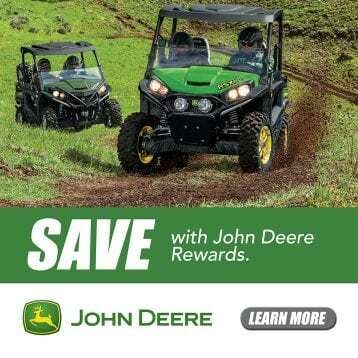 But ultimately, the lowest price drives the transaction, and the more competition that exists for Ohio products, the better the markets will be for farmers. 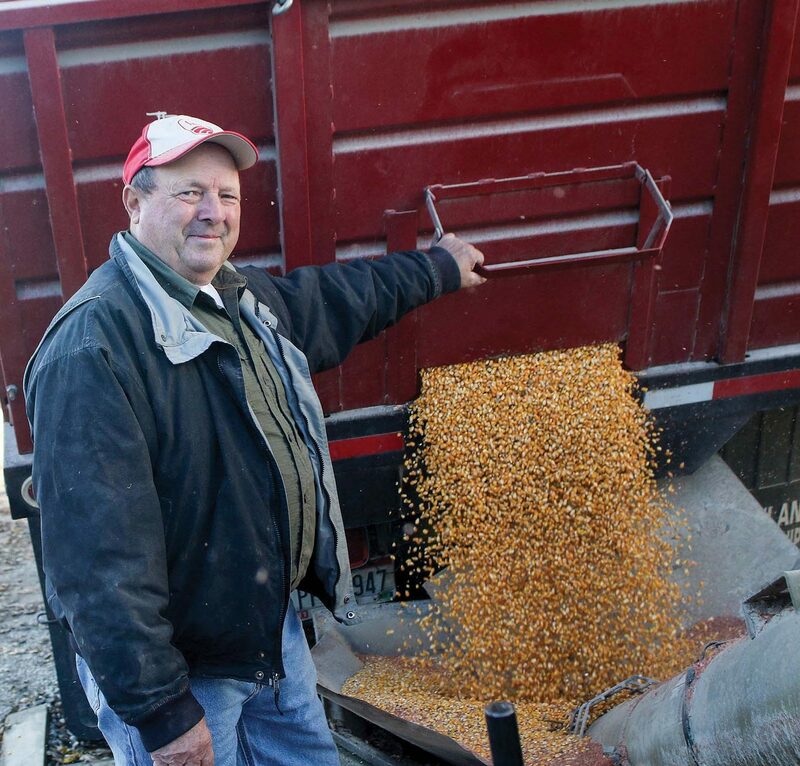 Hamilton County Farm Bureau member Dennis Heyob, who farms nearly 1,000 acres of corn and soybeans in western Hamilton County with his brother, Mike, got on board with exporting a decade ago when there was a demand for grain that was non-GMO. He’s contracted with Cargill to sell goods to customers in Japan. Hamilton County Farm Bureau member Dennis Heyob harvests organic corn with his brother, Mike, in southwest Ohio, top. 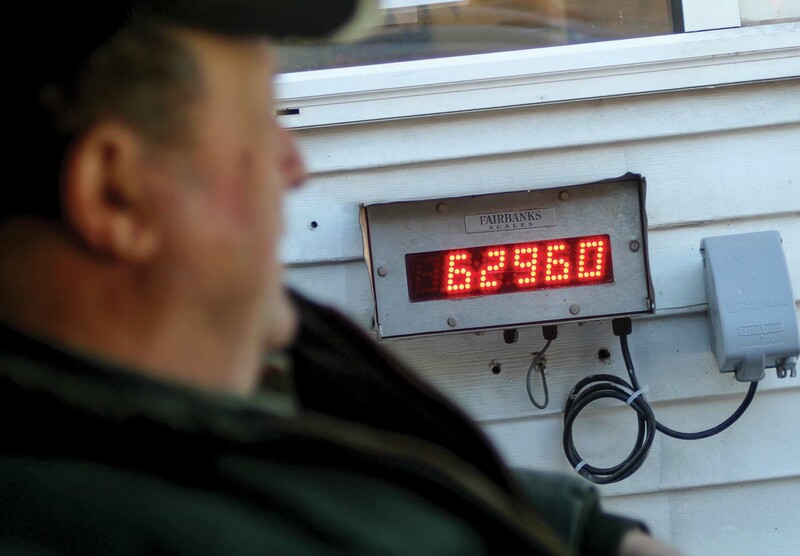 His harvest is weighed at Cargill, bottom left, before being unloaded into the hold at the Cincinnati port. This grain will be loaded onto barges for ultimate delivery to customers in Japan. Today, Heyob sends almost all the grain they produce overseas, about 75,000 bushels of corn and 27,000 bushels of soybeans in 2017. Selling overseas doesn’t take a degree in international business. The exporters handle the transportation issues and purchase the product. 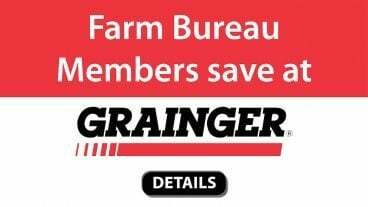 So farmers essentially call a representative such as Baumgart at CGB and request a bid for their grain. Heyob said he and his brother export through Cargill. The grain elevators can condition the grain for moisture content and other variables before the product is loaded onto barges. CGB typically sends grain down the Ohio River to the Port of New Orleans. Once there, the grain is sent to an export elevator that stores it and later reloads it onto a vessel (large ships that have several hollow holds). From there it reaches its foreign destination. The smoothness of this methodical planning hinges on some important trade issues currently being discussed. They include this year’s potential renegotiation of the North American Free Trade Agreement, as well as action by the Trump administration to pull out of the Trans-Pacific Partnership in November 2016. 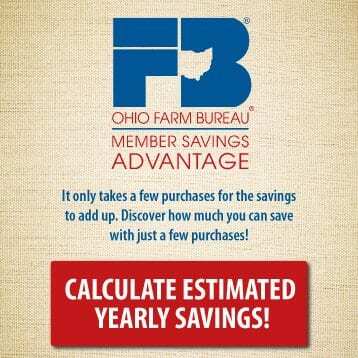 Ohio Farm Bureau is active in following several factors that can influence the export of Ohio grain. One is the waterway system. Poor transportation infrastructure, such as that recently making news at Lock and Dam 52 in Paducah, Ky., can impede the timely export of goods. 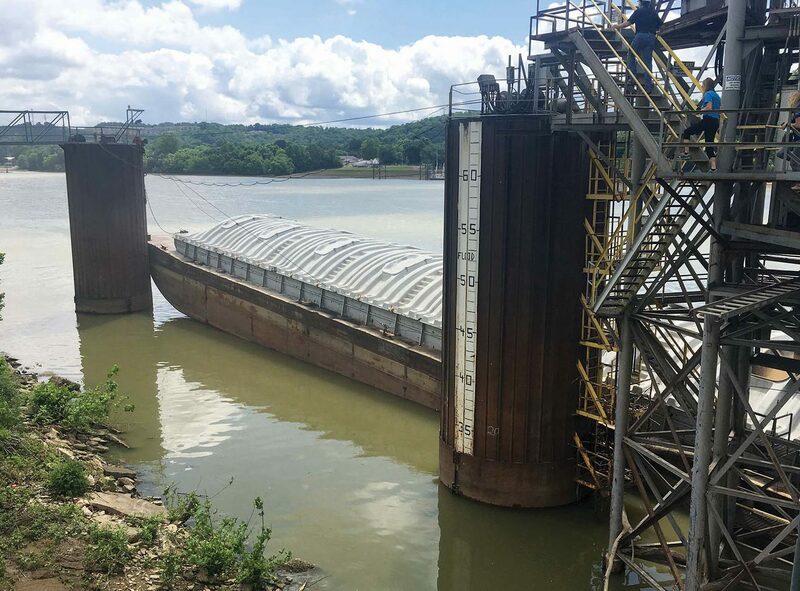 Breakdowns in the Ohio River lock have cost the U.S. Army Corps of Engineers more than $13 million and have backed up traffic. 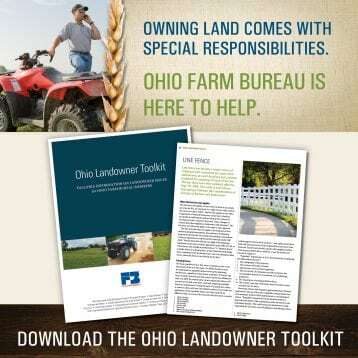 Water quality also is an issue demanding the attention of Ohio farmers. 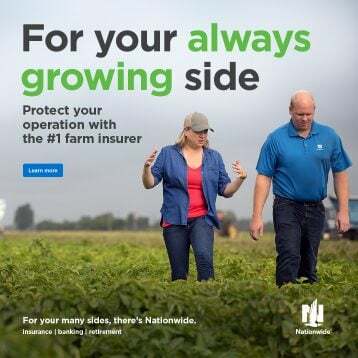 Algae blooms, phosphorus runoff and nitrogen loss can impact farmers and Farm Bureau concentrates many of its advocacy efforts on that subject. “A lot of things can affect the price of crops,” Heyob said. “It can be political, weather, insect outbreak, disease outbreak, drought; everything affects the price that’s in the marketplace. If there’s a hardship somewhere, the price will go up. If everybody has a good crop, the price goes down. International trade is important not just to Ohio farmers but also to the state’s overall economy. 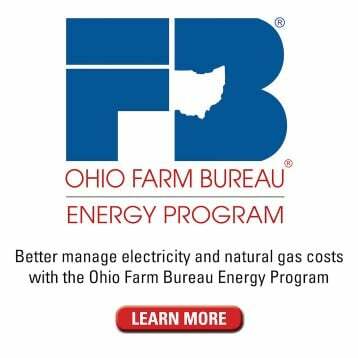 Ohio Farm Bureau and American Farm Bureau have been working as part of an industry-wide effort to send a message to Washington, D.C. and beyond about the importance of trade to the agricultural industry, specifically as it relates to the North American Free Trade Agreement and a looming trade war with China. OFBF Executive Vice President Adam Sharp, along with colleagues from the Ohio Chamber of Commerce, Ohio Corn & Wheat Growers Association and economist Ian Sheldon, professor and Andersons chair of agricultural marketing, trade and policy for Ohio State University, have stressed the importance of trade with editorial boards at major Ohio newspapers over the last few months. While NAFTA remains in negotiations, the 11 countries remaining in another multinational trade deal, the original Trans-Pacific Partnership, have moved on without the United States, signing a new agreement in March. The United States pulled out of the original TPP in January 2017.